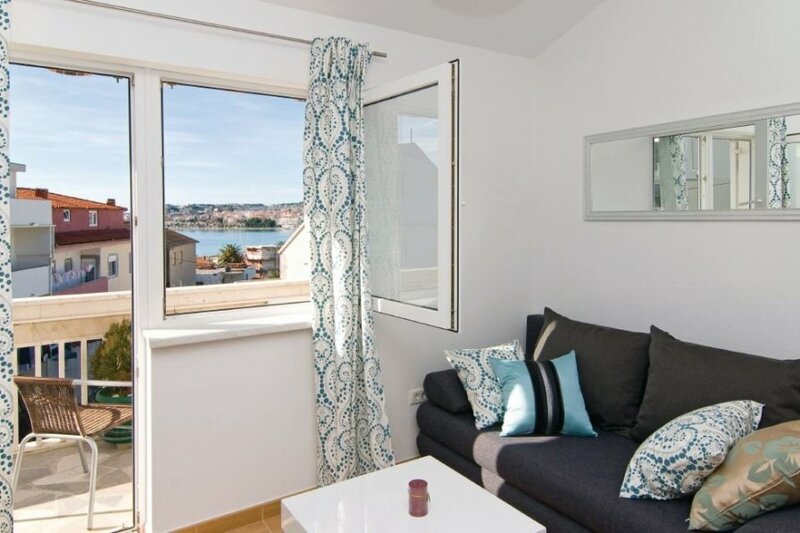 This holiday apartment is situated on the third floor of a family house, located on a hilly area. 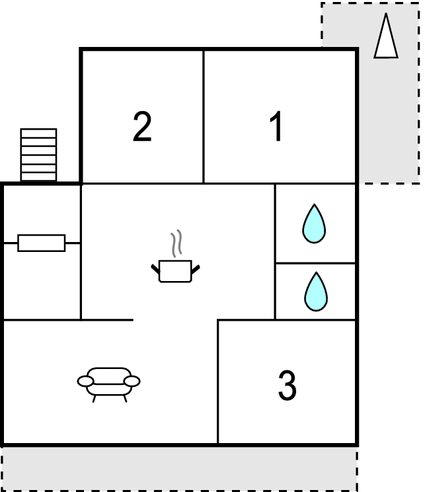 The apartment is simple and it has three bedrooms, a bathroom, a kitchen and a living room. This apartment is made from brick or stone and was originally built in 1978 and refurbished in 2008. The agent has rated it as a three star property so it is a well-kept apartment, equipped with standard furniture. It is also good value for money. This apartment has restricted sea view and is located in Podstrana, only 8km from Split. It is set in a very convenient location, just 170 metres away from a stone and pebble beach. There's also a restaurant only 120 metres away.